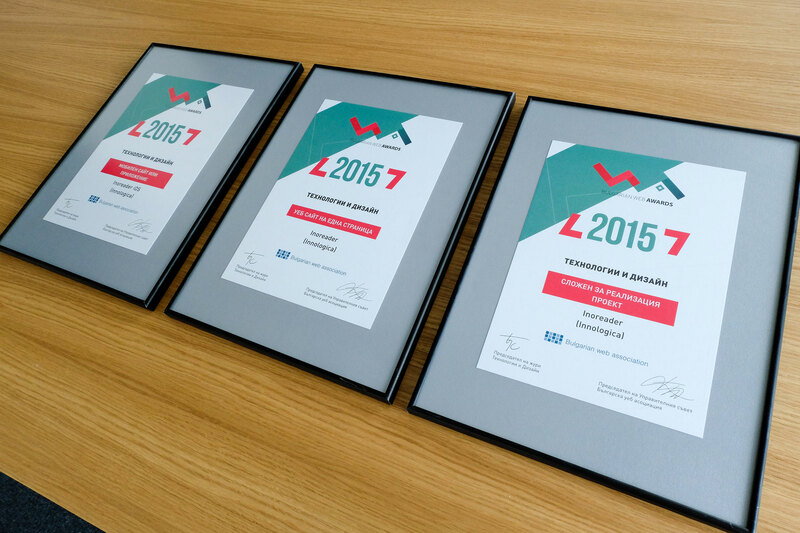 Inoreader won 3 Bulgarian Web Awards – Innologica Ltd. Yesterday at an official ceremony Innologica’s content reading platform Inoreader won 3 of the categories in the Bulgarian Web Awards 2015. Out of the 3 categories we entered in the “Technology and Design” panel, we won all three: “Mobile application”, “Complex web project” and “Single page application”. We got to apply for the awards almost in the last minute, but, it turns out, the jury recognised Inoreader’s potential and qualified the project as “a pleasant surprise”. During the official ceremony jury members said they were thrilled to see such a complex solution created by a fully Bulgarian team.